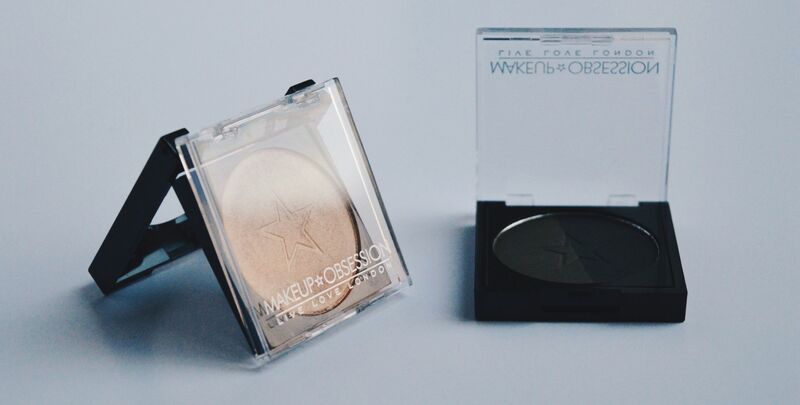 I am a self-professed stinge when it comes to makeup, (you’ll find one or two high-end makeup products in my entire collection, at a push) which is why I fell so quickly in love with Obsession Makeup. I’m always eager to test new drugstore brands and I also love anything and everything that is good quality and affordable, so I practically sprinted to the tills in Boots with my hands full of goodies when I first saw their brand new stand.. Obsession Makeup, for anyone that doesn’t know, is owned by Revolution Beauty, the same people that bring you Revolution, Revolution Pro and I Heart Revolution, and is available on the Revolution Beauty website as well as online and in store at Boots. All products from Revolution Beauty are 100% cruelty-free, and the majority of their products are also vegan-friendly, so you’re almost bound to fall in love with something with no guilt! I was admittedly a little overwhelmed at first – the majority of what they sell in-store are single pans and I wanted to swatch everything in sight which just isn’t possible without a wipe, for fear of looking like a hot mess in the end – but I finally whittled down my choices and opted for two eyeshadows, a brow powder and a highlight..
My first two choices were eyeshadow pans in ‘Copper‘ and ‘Rare‘. Copper is a matte, burnt brown shade in the pan, which appears a little lighter when used. Although I did find that the shade was not the most pigmented, there was only a small amount of kickback, it builds evenly and blends really nicely, which is always something I look for in a matte shadow. Rare is a burgundy shimmer shade in the pan, which again, swatches slightly lighter than it appears at first. I’m completely obsessed with this shade though – it’s super pigmented, blends really easily again and surprisingly for a shimmer shade, there was hardly any fallout. 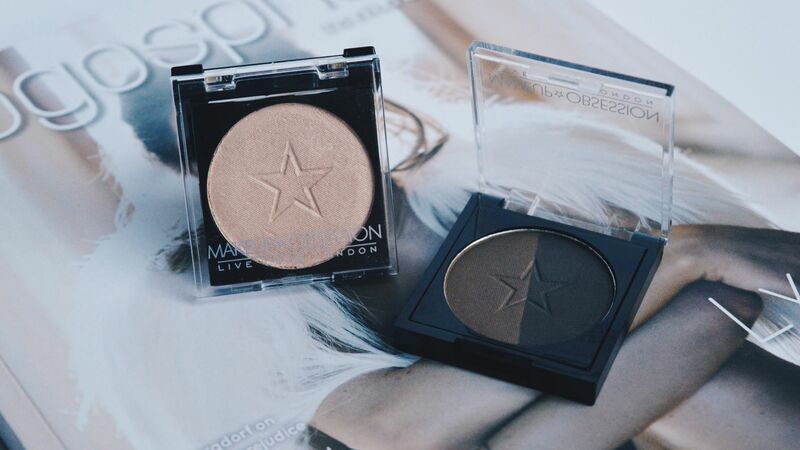 Overall, I was really impressed with both of the eyeshadows I picked. The eyeshadow pans retail at £2, and I will definitely be picking up more shades in the future – I’ve currently got my eyes on ‘Mink‘ as the perfect transition shade, and ‘Ibiza‘! I’ve always found brow powders to be slightly controversial. Barry M’s Brow Kit in Medium Dark, which has a wax and a powder, and Elf’s Brow Cream are my ‘Ride or Die’ brow products, and I rarely stray too far from either before repurchasing. I decided to pick up and test the Obsession Makeup Brow Duo Powder in Ebony for the simple fact that it was only £2. I’m so, so glad that I did. If I had to sum this product up in one word, it would be pigmented. Oh my word, it is so, so pigmented! When I first swatched it in store, I didn’t have my hopes set too high but when I used it with my normal brow brush, I was lost for words at just how much colour such a small amount of product produced. I was, and still am, super impressed with this as a product and can see it becoming a staple in my makeup bag (and for the price, I’m totally okay with that)..
My final purchase was to commiserate hitting pan on The Balm’s Mary-Lou Manizer, which is and will always be my lifelong favourite highlighter, but I have finally accepted that it’s slowly dying. I tested lots of different Obsession Makeup highlighters in store, all of which have really pretty undertones for lots of different skin tones, but it was love at first swatch with ‘Bronze‘. In the pan, Bronze appears to be really similar to Mary-Lou Manizer, with a similar subtle, but blinding, golden undertone when swatched. Admittedly, it isn’t quite as intense in comparison, but I’ve only applied it with a dry brush so far and I’ve been layering the two highlighters together, which works really well (because they’re so similar, in the hope of prolonging Mary-Lou’s life). I may even go as far as saying Bronze is a dupe of the high-end product, and it’s £3 price tag is much kinder on the wallet..
I’m super excited to pick up a few more shades from their range in store – I must admit that I hate ordering eyeshadows online, I’m all about that swatch life – and I love that when I do purchase more, I won’t leave myself bankrupt. I’m really impressed with the brand so far, and I’m excited to see what the rest of their range has to offer – I’m eager to try their Brow Pomade, and I’m super tempted to pick up the Obsessive Eyes palette which looks stunning..
What’s your favourite affordable makeup brand? 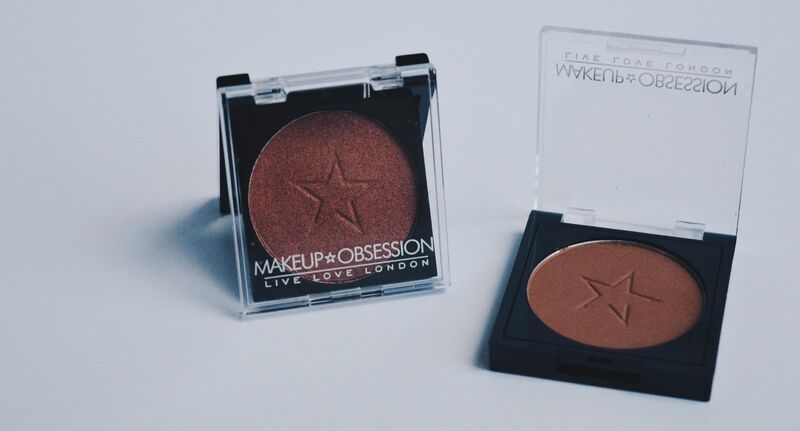 Have you tried anything from Obsession Makeup? "The Body Shop Tea Tree Pore Minimiser Primer – First Impressions.."